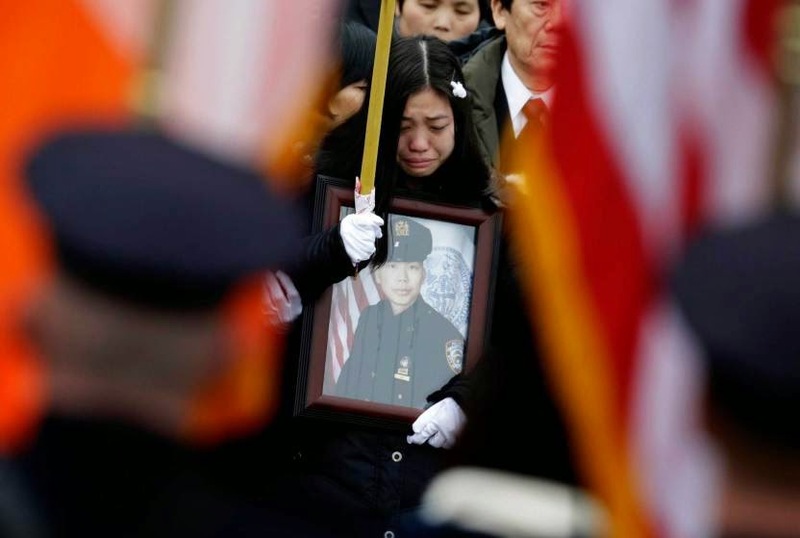 NYPD Detective Wenjian Liu had his funeral today after 2 weeks. Tens of thousands of people showed up, mostly police officers from all throughout the United States and Canada. Most of them were able to come thanks to Jet Blue who offered free flights to officers wishing to attending. They did the same for Detective Ramos' funeral as well. The funeral was simple and had a Buddhist ceremony. The director of the FBI, Mayor Di Blasio, Commissioner Bratton as well as relatives of Liu spoke at the ceremony held at the funeral home. 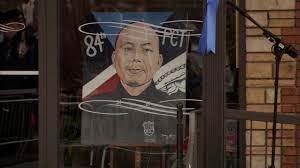 They recalled the heroic and moral life of Liu who joined the NYPD after the September 11 attacks in New York City. An accountant by training, Liu felt compelled to join the Blue Force after watching the city that adopted him be attacked by deranged terrorists. 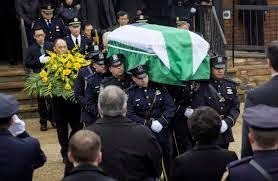 May Detective Wenjian Liu rest in peace and may God bless his relatives and friends who are suffering his loss.